$359/mo for 36 months with only $2,440 down! Call, Apply Online, or Stop In & See Us! Our Largest Commercial Inventory Ever! Or Custom Order Your Own! The team at Paul Sherry Chrysler Dodge Jeep RAM aims to provide cars to Piqua, Troy, Sidney, Dayton, and the rest of Ohio at prices that are lower than the average market value. When you choose to buy your next car from us, you can expect to get the lowest prices and top customer service to go along with it. Our dealership has been in operation since 1968, during which time our excellent service has combined with affordable pricing to help us grow our base of returning customers. We work as hard as possible to give you the best car-shopping experience in Ohio so we can truly earn the title of the dealer of choice. Our new car dealership carries a variety of makes and models that is sure to please your new car desire. Read more below about our new car inventory and what makes us a popular Chrysler Dodge Jeep RAM & RAM Commercial Truck dealership in Ohio. The 300 is perfect for those who want a sedan with premium features. The outgoing Town & Country and brand-new 2017 Pacifica are ideal for families who enjoy versatility and luxury. All our new Chrysler models carry the lowest prices within the Miami Valley thanks to our discounts and incentives. Browse our inventory online or in person to discover your next Chrysler! The Dodge lineup includes a wide range of body styles, and you can find them all at Paul Sherry Chrysler Dodge Jeep RAM. Pick the Dodge Charger or Challenger if you want a sedan with or without sporty styling. 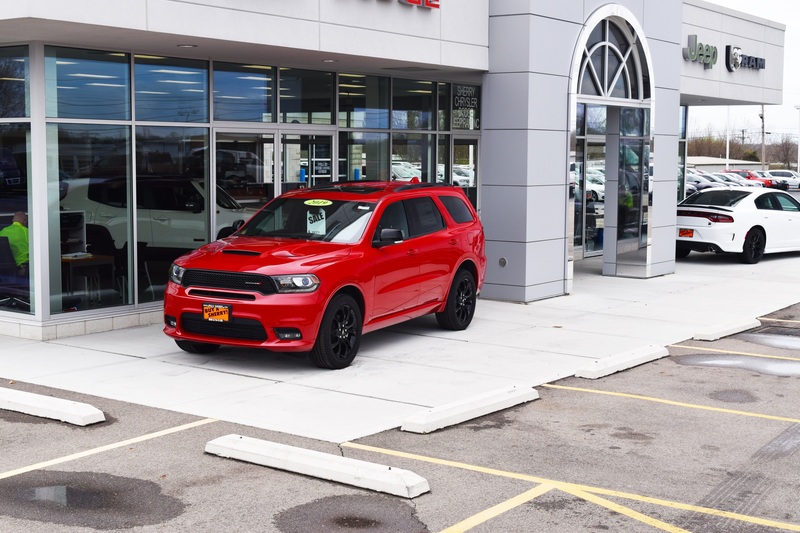 The Journey and Durango offer two unique SUV options of different sizes so you can get as much space as you need. The Grand Caravan minivan is perfect for families. Nearly any time of the year, the Jeep section of our dealership is the most popular. You will find every Jeep model, including favorites like the Compass, Patriot, Cherokee, Grand Cherokee, Renegade, Wrangler, and Wrangler Unlimited. With so many options, you can go with a compact SUV, a spacious full-size one, or something in between. It seems as if more and more people come to our dealership to check out our truck lineup. 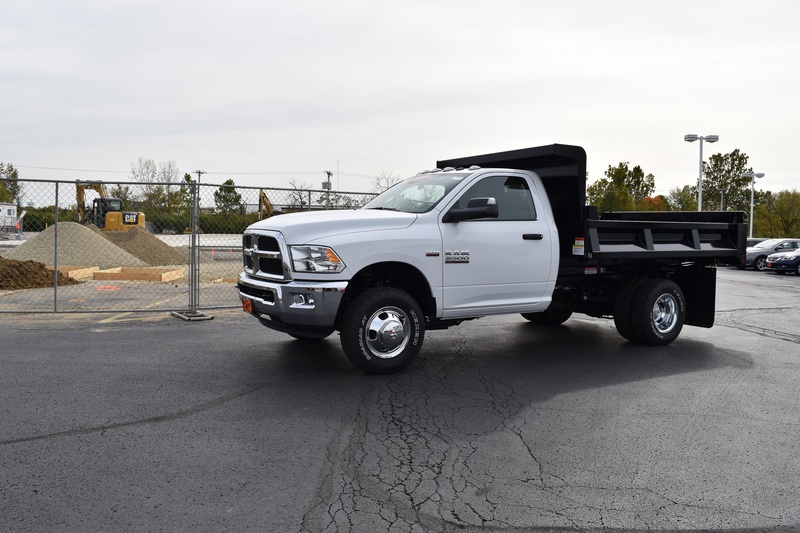 We have all the major RAM models, including the 1500, 2500, and 3500, for all your light- and heavy-duty hauling needs. We also have a great selection of ProMaster Vans that can be configured for a range of purposes. 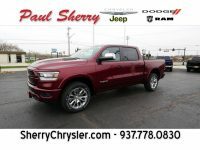 Paul Sherry Chrysler Dodge Jeep RAM is experienced at working with businesses and providing the right commercial truck or vehicle. Our team at Paul Sherry always aims to deliver you the best possible customer service. You have access to our staff’s knowledge of each RAM commercial models and an incredible selection. We want to be you RAM commercial truck dealer of choice! In addition to the standard available inventory, we also carry a variety of Rocky Ridge Trucks and Jeeps. Rocky Ridge is regarded as America’s most reliable converter of lifted trucks and lifted jeeps. Purchasing a Rocky Ridge Truck from our dealership allows customers to keep the original factory warranty as well as a warranty for all Rocky Ridge Truck accessories. View our inventory to view a complete line-up of Rocky Ridge Truck models. One of the most popular new conversion vans on the market, the Sherry RAM Conversion Van features class exclusive front-wheel-drive, 6’4″ Interior Height, 32″ HD-TV, and more! Shop 7 passenger, 9 passenger, and mobility van options. Thinking of selling your car or trading it in for a new one? You will want to make sure you get the best price, and we can help with that by offering you a fair value that is better than others in the area would offer. We will take your vehicle no matter the shape that it is in, whether you plan on just selling it or trading it in. At Paul Sherry, we let everyone apply for an auto loan. You may qualify even if you have bad credit, and we offer great deals to those with good credit. Even if you don’t have credit, you won’t have to worry. Our finance team works with various car loan companies to ensure we offer our customers a range of financing options regardless of their state of credit. Keeping your vehicle running at optimum performance is an important responsibility of any car owner. Our service department always uses authentic OEM ports on all there repairs. To match the qualify of the repairs, our auto mechanics are highly experience at resolving any car problem regardless of the complexity. Visit us and see why we are the preferred auto service in Piqua, Ohio. Although we are a popular Chrysler Dodge Jeep RAM & Commercial Truck dealership throughout Ohio, a majority of our customer are from Piqua, Sidney, Troy, Dayton, Greenville, and even Columbus and Cincinnati. We are experienced at working with customer throughout the state and country. We try to respect your time throughout the purchase process. We try to complete a majority of the process before you arrive at the dealership. This way, when you arrive, we can get you on road on the road with your new vehicle quickly.